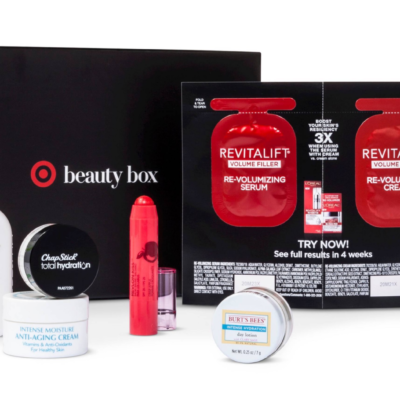 Target Beauty Box for Men is a one-time online purchase that comes out about twice a year. This one was for December and was $7 plus tax with free shipping. 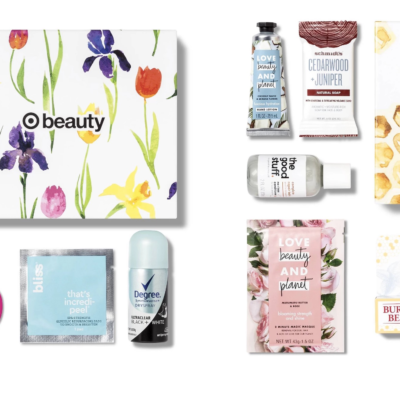 This box is no longer available but you can shop for all the items in the box on the Target Beauty Box page! 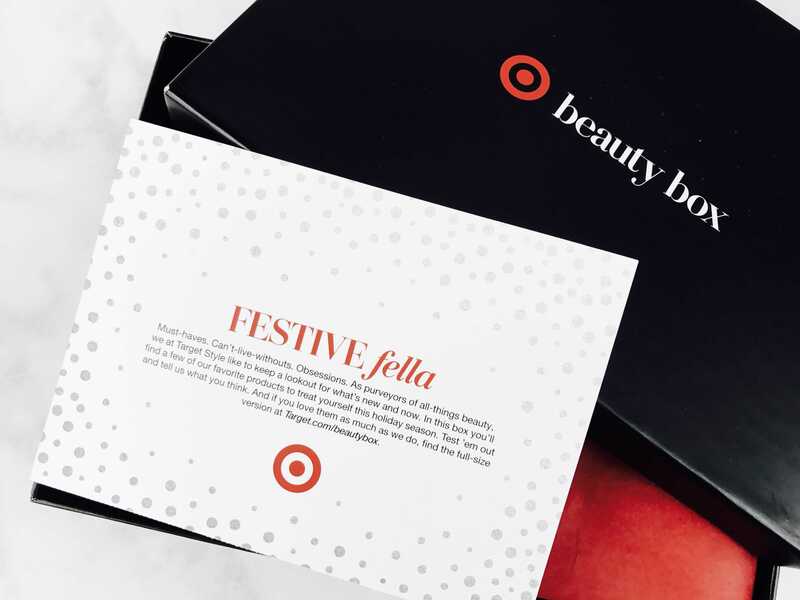 The theme for the December Box is “Festive Fella” with products to treat yourself this holiday season. There was a coupon for $3 off of a beauty care purchase of $15 or more at Target or Target.com. In the past, they’ve included a “personal care” coupon instead. If you note, it appears to already be expired, but it’s just a misprint. It works fine! DEAL: Save 5% when you use your Target Red Card! 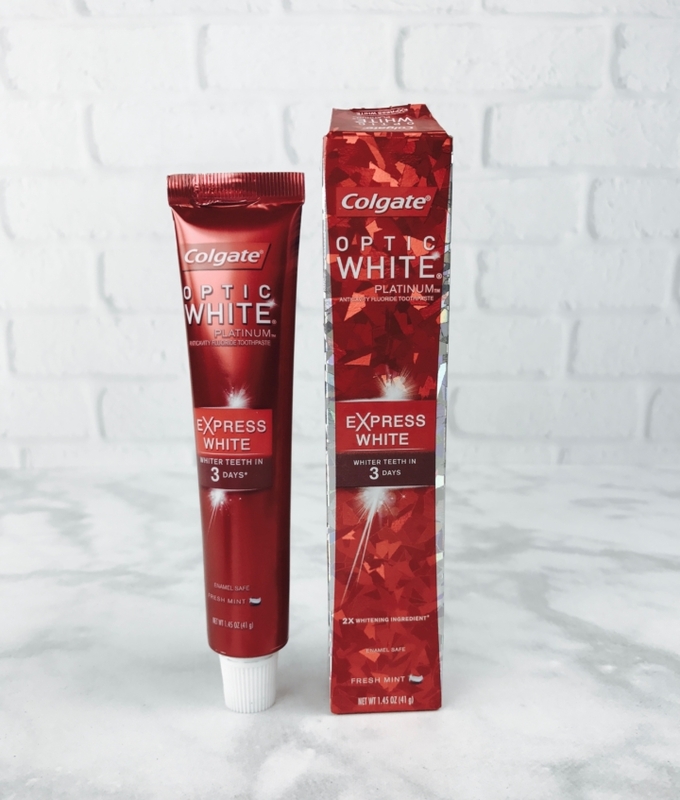 Colgate Optic White Platinum Express White Toothpaste ($1.68) My husband purports to be obsessed with teeth whitening products (he never uses strips but wants them), but this is perfect – something he’ll use anyways and enough to actually test out the claim! Next up – 2-in-1 shampoo & conditioners. It didn’t make sense to me to include 2 different types, unless you wanted a big box vs. fancy brand showdown. Realistically my husband is just happy to use both, he loves to try out different scents and formulations. These body washes at least have a slightly different purpose than one another. The Old Spice is a “deep clean” body wash for existential stink. 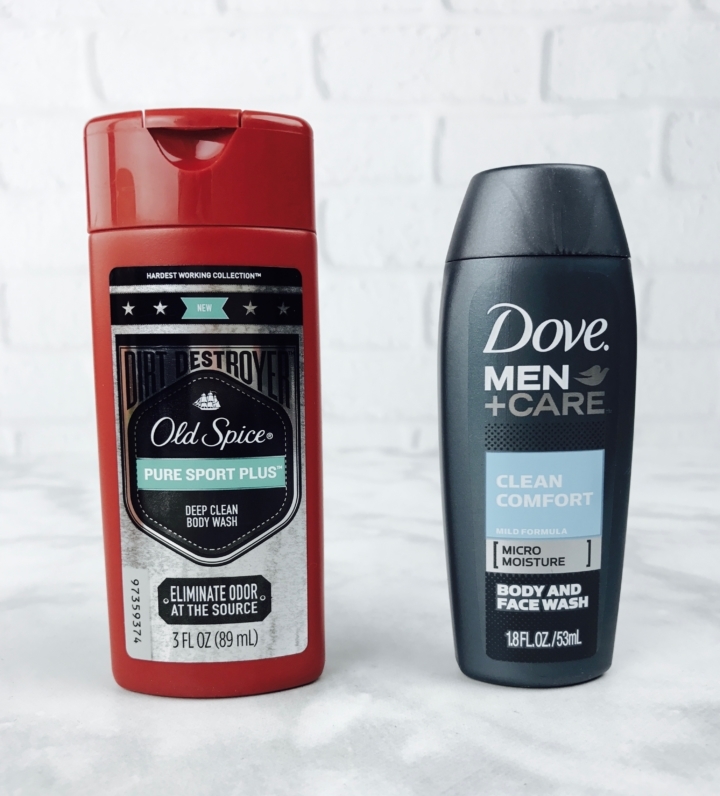 The Dove is body and face wash, for delicate days (the scent is somewhat powdery even). 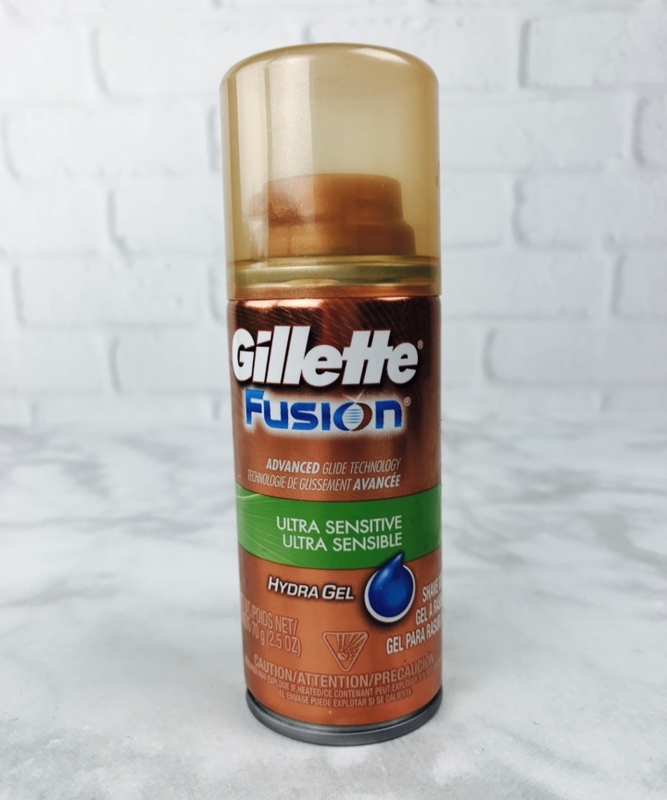 Gillette Fusion Ultra Sensitive Hydra Gel Men’s Shave Gel ($0.98) Tom loves this shaving gel and as we’re about to take off to Florida and he can grow a full beard in 3 hours time, he’ll use the entire can on our trip! Finally we have the smells. 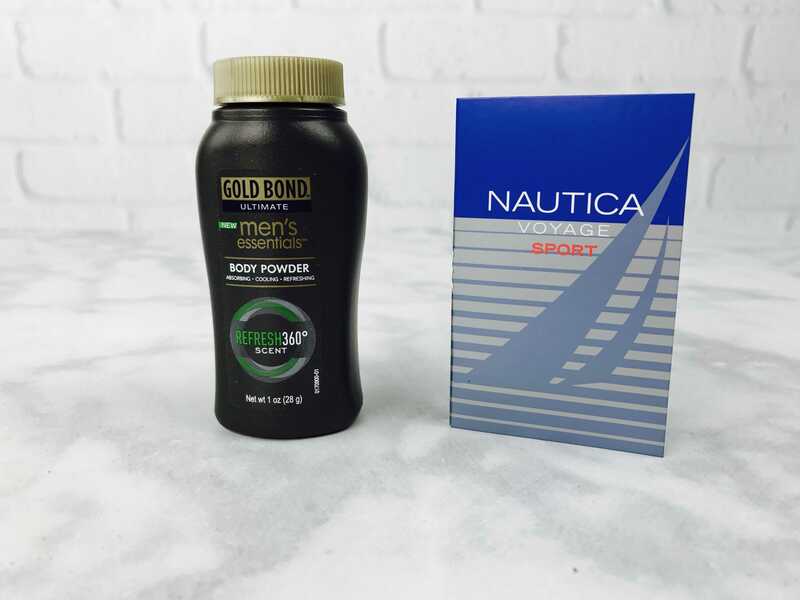 The Gold Bond was wrapped in a plastic outer bag that had come loose, so the entire box smelled like Shaq. If you are a man or purchase things for a man, I think you know what to do with it. 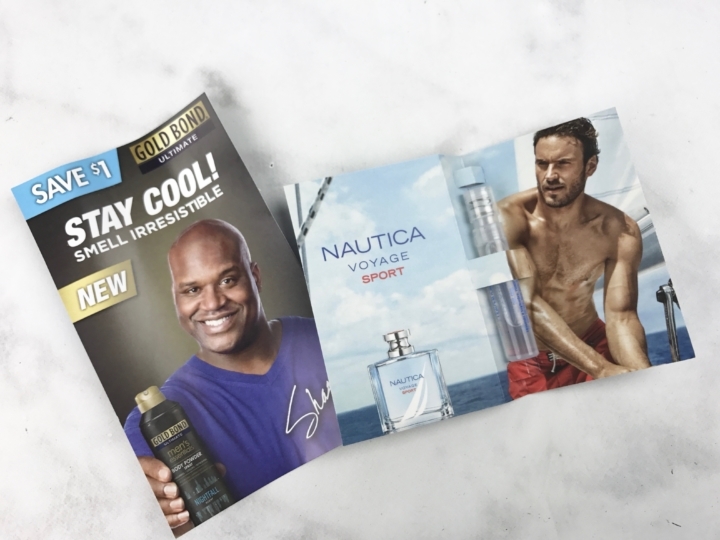 Tom loves fragrances so he was happy with the Nautica. Are you a Shaq? Or a Sailing World Cup dude? 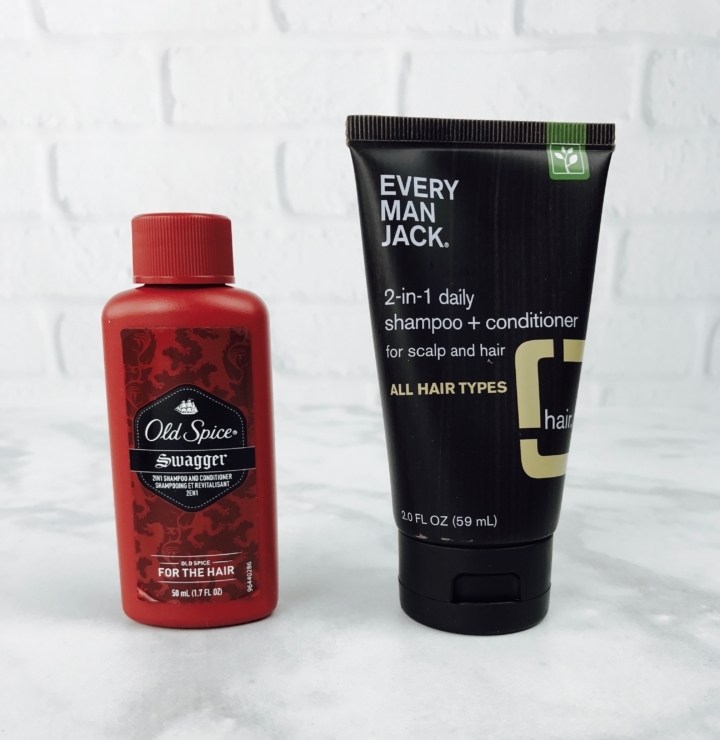 With the Target Beauty Box for Men, you can have it all! The total value of the box was about $7.31. I thought that it was a tad on the lame side. 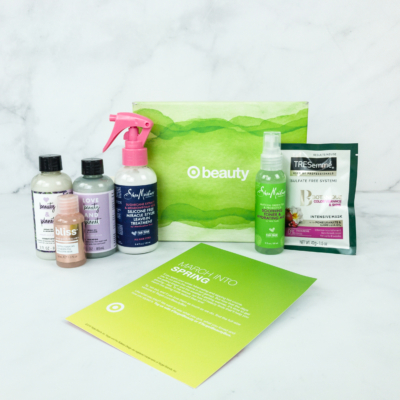 I haven’t really been that big of a fan of the Walmart Beauty Box, but Target is making it look better every day! 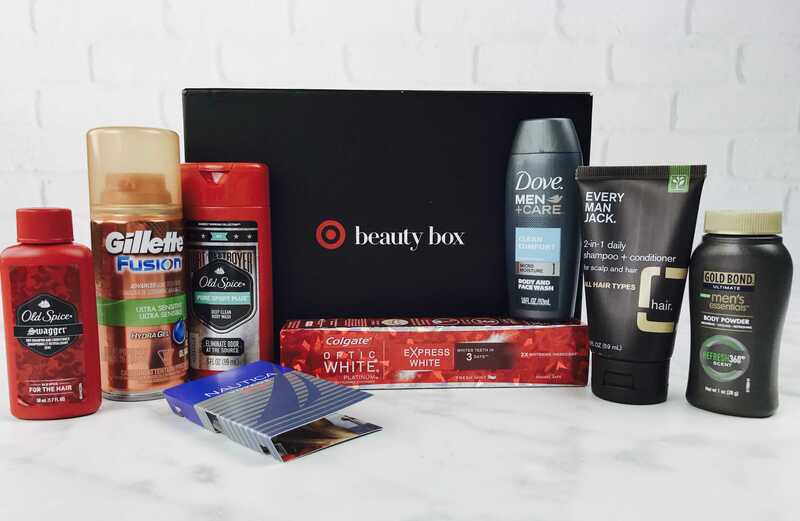 The last Target box for men was $5 with about a $20 value. The only explanation I have is that the box was heavier than normal – but I am pretty sure they use volumetric shipping rates, so that shouldn’t make a difference. 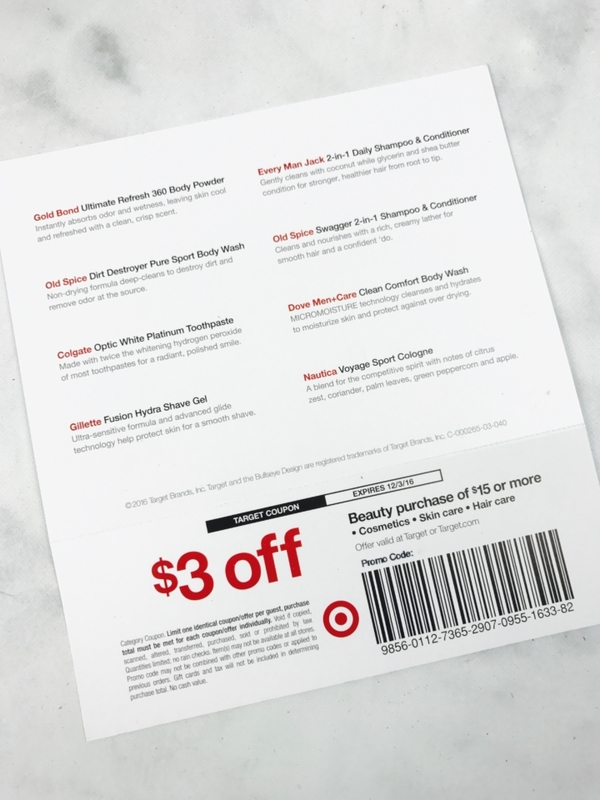 TIP: Even though the coupon is actually valid, you might get a gift card if you complain to Target customer service about it. I agree – the value is not there at all. You can just buy the stuff you want in sample sizes instead and make your own box for this price. T (age 17) loved the box. He was happy with the selection.